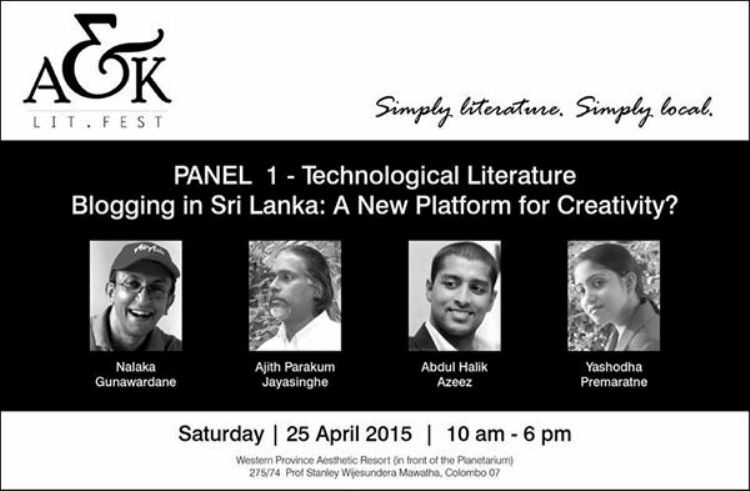 A & K Lit Fest Session on Blogging in Sri Lanka – A New Platform for Creativity? Accessible, affordable and enjoyable: nothing official or snooty about it! 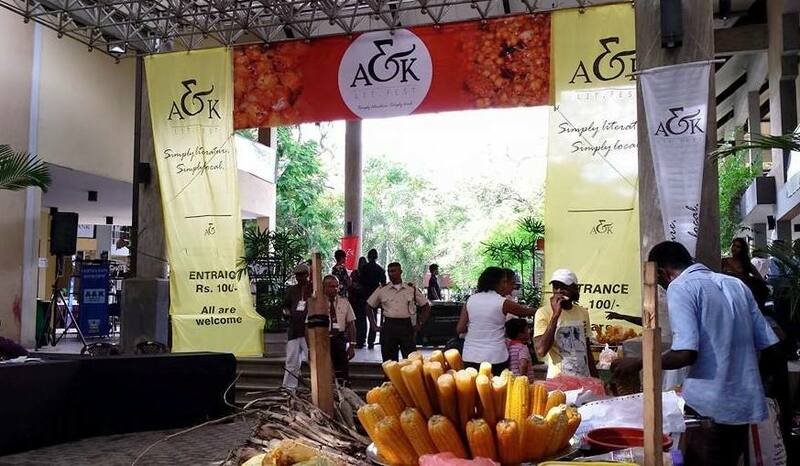 The Annasi & Kadalagotu Literary Festival (‘A&K Lit Fest’), held on 25 April 2015, brought together literary enthusiasts from across the country. 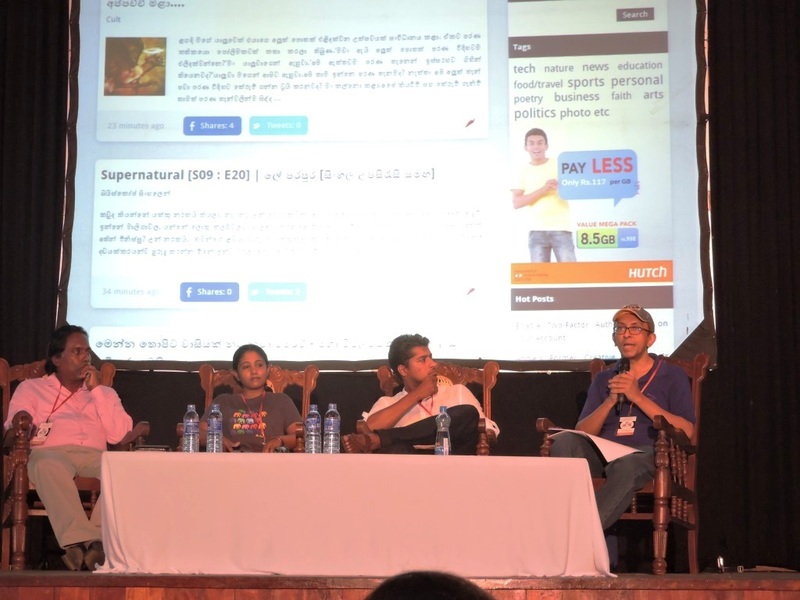 It was a collaborative platform where those who share a passion for literature can come together, explore the way we write, the way we read and learn about the ways of Sri Lanka and its people – their expressions, cultures and perspectives. I moderated a Session on “Blogging in Sri Lanka: A New Platform for Creativity?” which featured three leading bloggers in Sri Lanka. Here are my Opening Remarks, where I tried to place blogging in the current cultural, political and societal context of Sri Lanka. 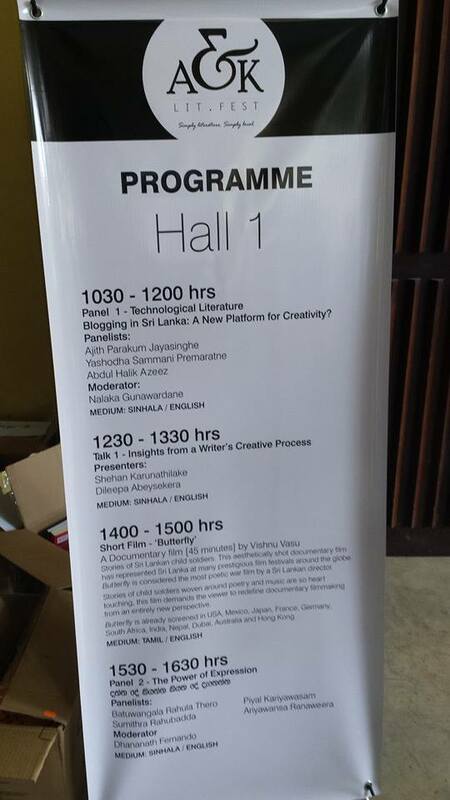 Session: Blogging in Sri Lanka: A New Platform for Creativity? Because we are discussing blogs at a lit fest, we will look explore Lankan blogging and blogospheres from a more creative and literary perspective – and not from any technical or technological angle. Our session has been tagged with a subtitle “Technological Literature?”, which I consider to be a misnomer. Blogs are self-expressions that just happen to be made on the web, but they are not necessarily techie or geeky. Not any more than, say, convention book writers have much or anything to do with printing and paper production! The cyberspace is just the medium and the ecosystem in which blogs are written, shared, commented upon and – sometimes – being argued over. 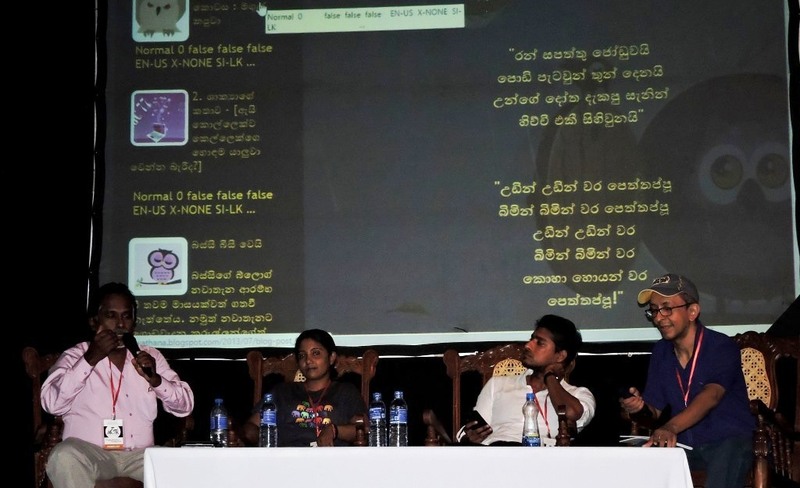 This part of the web is called ‘blogosphere’ – and where Sri Lanka is concerned there are three overlapping such blogosphere in Sinhala, Tamil and English languages. The medium is far more interactive, so creators can get direct audience feedback. We have come a long way since those early days of dial-up, narrowband access. Not everyone is online yet, of course, but we have around 22 to 25% of our 21 million people regularly using the web now for a variety of purposes. Blogging is one such purpose. At its most basic, blogging entails using web-based, free spaces to write and self-publish words, images, videos or multimedia content. Bloggers have been active in Sri Lanka for at least a dozen years, if not a bit longer. 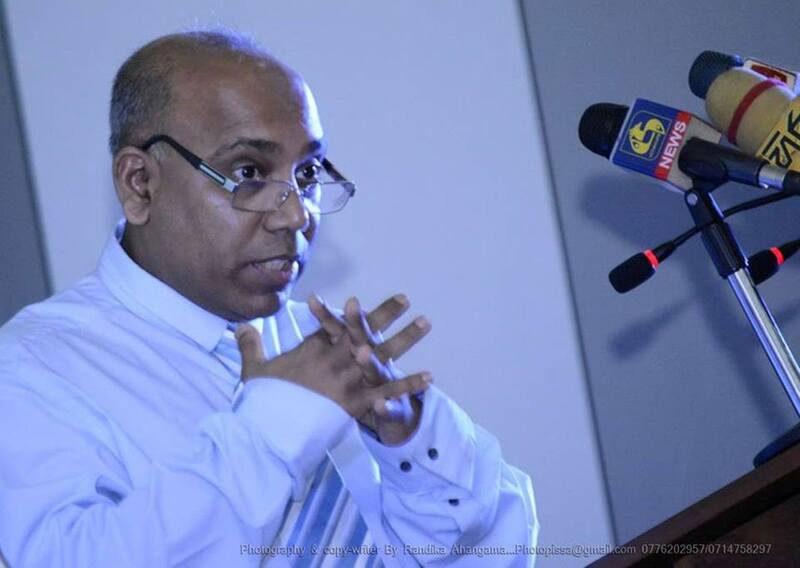 We don’t know exactly who the first Lankan blogger was (that’s a research project for you! 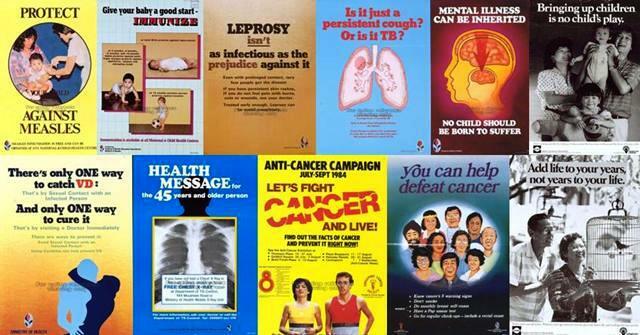 ), but some pioneering work was done by English language bloggers like Indi Samarajiva. There are others. Blogging became more popular after around 2003/4. This was the time broadband Internet started rolling out, giving us faster speeds and always-on facility (on a fixed monthly cost, without having to count the minutes we stay online). Blogging in Sri Lanka picked up when more and more computer users realized that they didn’t need to have any programming or coding skills to do web pages. The early web was limited to webmasters wielding HTML and other specialized software skills. But the advent of Blogger (1999) and WordPress (2003) free platforms meant that guys like myself – not knowing a single line of coding – could put together my own content on the web. As broadband services spread, and as local language font issues were finally resolved, more people started blogging in Sinhala and Tamil too. The Lankan blogosphere is diverse and vibrant today. Blogging is being pursued by a few thousand people, and many thousands more participate as readers or discussants. Some blogs offer serious political and social commentary, while others have become platforms for nurturing new talent in prose, verse, photography, videography or graphic art. The formats and topics are only limited by our own imagination and dedication. The latter is important, as blogging is unpaid work that can take up a good deal of time (especially if you become a widely read and commended upon). Bloggers fit into a much larger new media ‘ecosystem’ called citizen journalism, which is also constantly evolving. Although not well studied by media researchers, this phenomenon is now a part of our public sphere. Before I introduce the panel, let me pose and answer four questions. Who is a typical blogger in Sri Lanka? There is no such profile. Besides having basic computer skill and Internet connectivity, there is little in common among our bloggers – among whom are students, teachers, professionals, retirees, housewives, househusbands and many others. Anyone with Internet access and some spare time can, in theory, become a blogger. And if not inclined to write, anyone can still become a reader and/or commentator of others’ blogs. What do Lankan bloggers publish about? Again, the interests and topics of blogs are as diverse as our people! There is every type of content generated by bloggers and their readers (sometimes comments are more interesting than the original post that provoked them). Bloggers variously address social, cultural, political, commercial and personal issues and topics. What quality and creativity are found in Lankan blogs? Again, this is like asking what quality and creativity can be found in all the books, newspapers and magazines published in our land. It all depends on where you look! We find some news reporting, much commentary/opinion, some analysis and investigation, as well as short stories, poems, satire, cartoons and videos on blogs. The genres are now nearly as diverse as in the printed word, even though public awareness of this diversity is still lacking. Finally, why have me moderate this panel, and why these panelists? I have been a long-time observer and chronicler of the Internet in Sri Lanka from the very beginning, often partnering with my friend Chanuka Wattegama. I wish more of our social scientists and media researchers would take a closer look at what is going on in cyberspace and help us understand just how that is impacting our society, culture and politics. They shared personal impressions and aspirations. So today’s Lankan bloggers are heirs to a long and proud tradition! 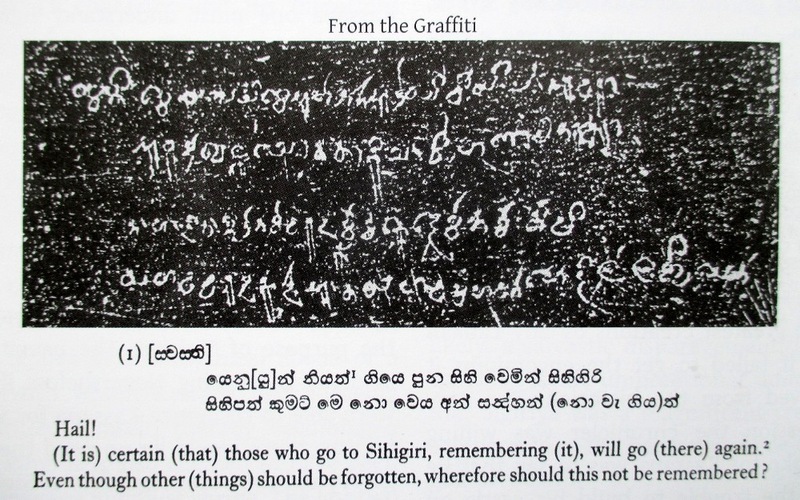 BUT – don’t even think of writing anything on the Sigiriya mirror wall today. It is now a UNESCO World Heritage site, and protected under the Antiquities Ordinance. A young woman who wrote her lover’s name there was arrested and jailed recently for two years! Blogging in cyberspace itself is sometimes frowned upon by those who don’t know — or have only a fleeting awareness of — what blogs really are. Some confuse blogs with political or gossip websites. Sadly, many in our mainstream media are either ignorant or dismissive of blogs (and some editors shamelessly reproduce them without acknowledgement!). 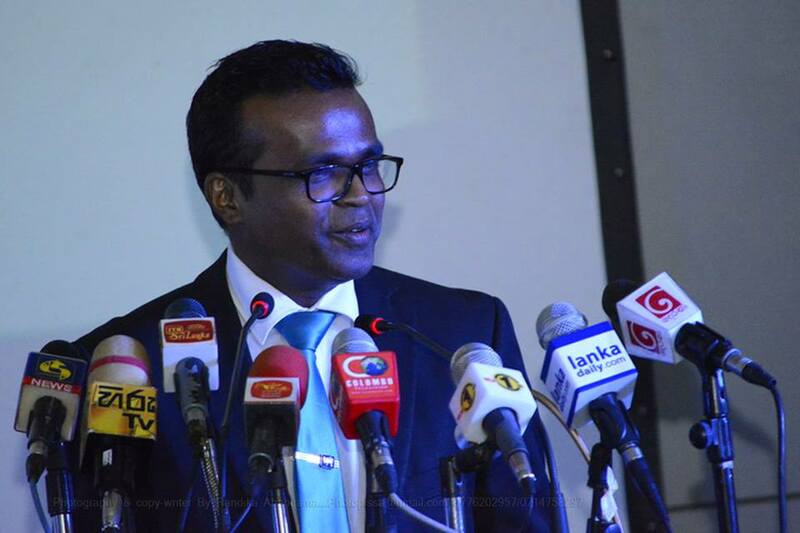 The Secretary to the Media Ministry – himself an occasional blogger — told a blogging award ceremony last month that he has met chief editors of Lankan newspapers who had no clue what blogs were! During the past decade when freedom of expression and media freedom in Sri Lanka were seriously undermined, bloggers and citizen journalists partially filled the void created by mainstream media stepping up self-censorship. Indeed, I argue that some of our leading bloggers offer more refreshing and authentic analysis of current social and political issues than do many newspapers! 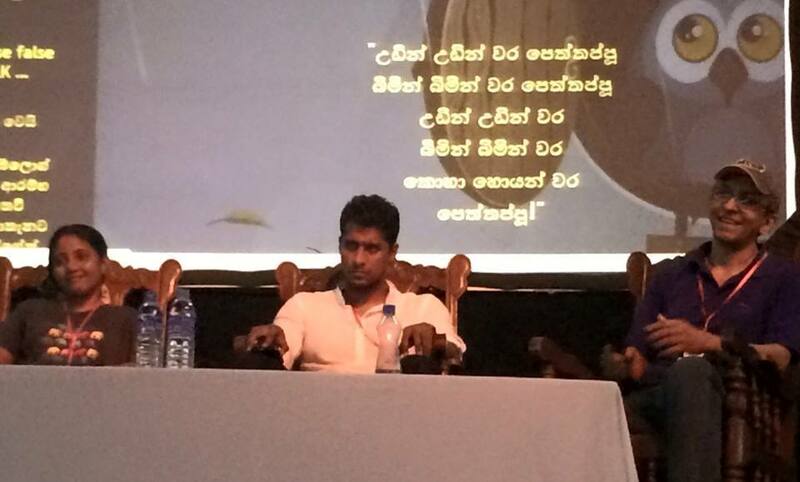 In their own ways, our three panelists have distinguished themselves in the Lankan blogospheres. We want to find out what motivates and inspires them, and what kind of dialogue they have with their readers. 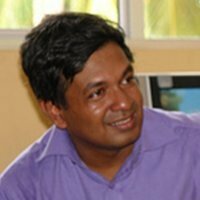 Ajith Perakum Jayasinghe (Blog: http://www.w3lanka.com) is a teacher by profession who is immensely engaged in writing, translating and blogging. He likes to identify himself as a political activist who is committed to change the order so as the life is better for the humans and nature. Yashodha Sammani Premaratne who is known by her pen name “bassi” is a blogger as well as a microblogger. Her blog, “Bassige nawathana” (http://bassigenawathana.blogspot.co.uk) started in August, 2013 attracted the readers immediately due to her lucid style of writing. Her range of blog posts is highly diverse from simple humour to Politics, Science, Poetry and Fiction. 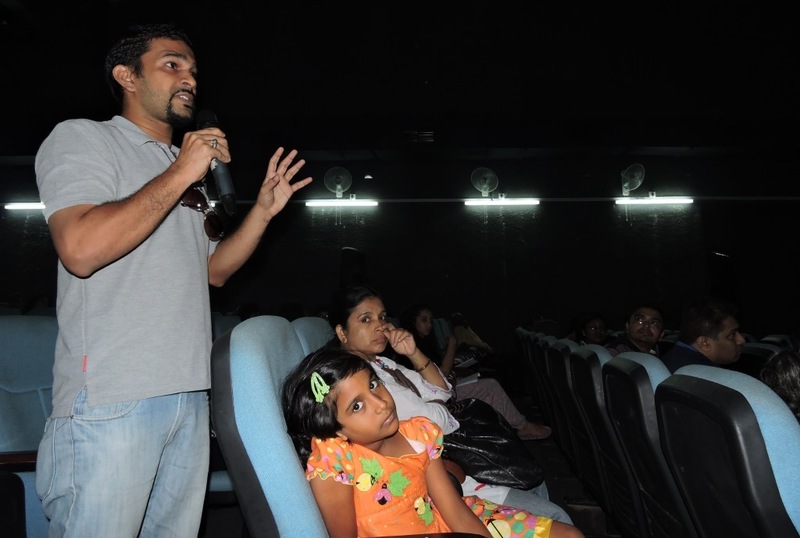 ‘Bassige Nawathana’ has already won two awards for its creativity. 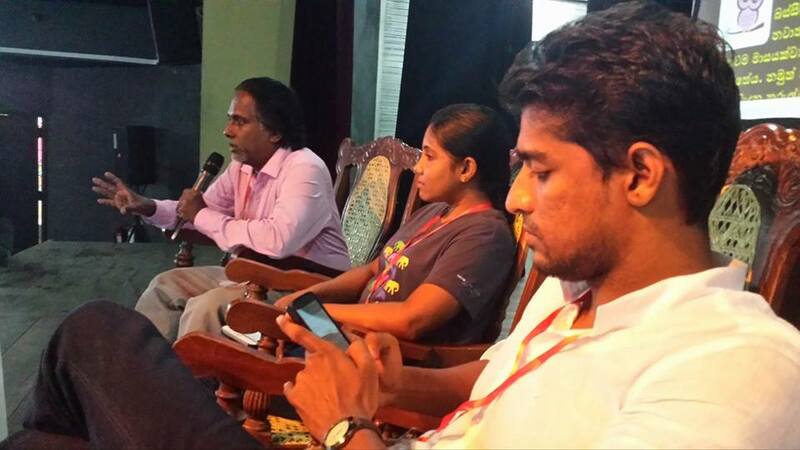 How vibrant and diverse is blogging in Sri Lanka? Is there a dedicated and growing audience for blogs? Do bloggers influence public opinion, and how? Is blogging in decline with the rise of micro-blogging (Twitter) and Facebook? In this week’s Ravaya column (in Sinhala, published in issue of 26 April 2015), I question the wisdom of a new project by the Lankan government’s Information and Communication Technology Agency (ICTA) on “ICT for Citizen’s Journalism”. 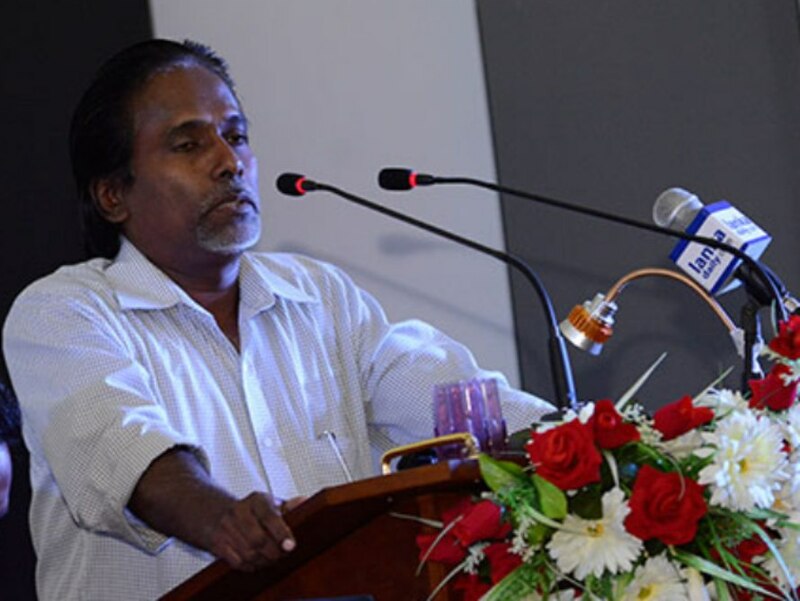 If he has been quoted correction (no denial so far), the apex ICT institution of the Lankan government shows a shocking ignorance in its limited understanding of citizen journalism: must they be limited to gatherers of raw material for mainstream media? What about bearing witness, self-publication and countervailing functions of citizen media? I place ICTA’s imminent blunder in the wider context of other governmental agencies making a mockery of ICTs and public communication – for example, the state broadcaster SLBC running so-called community radio. Yaha-paalanaya (good governance) is not just ensuring a clean and efficient government but also having clarity of purpose and making well reasoned and evidence based interventions to societal needs. ICTA fails once again on this count. 1990 දශකය මුලදී පේ‍්‍රමදාස ජනාධිපතිවරයා ඇඟලූම් කම්හල් 200 ව්‍යාපෘතිය යටතේ කම්හලක් පිහිට වූ හැම තැනෙකම ආසන්න මංසන්ධියක අදාල සමාගමේ වියදමින් ඔරලෝසු කණුවක් ඉදි කිරීමට නියෝග කළා. 20 වන සියවස මුලදී අත් ඔරලෝසු හෝ (වේලාව බලා ගත හැකි) ජංගම දුරකථන නොතිබි නිසා මහජනයාට එබඳු පහසුකමක් ප‍්‍රයෝජනවත් වූවත් 20 වන සියවස අවසන් දශකය එළඹෙන විට මේ යථාර්ථය මුළුමනින්ම වෙනස් වී තිබුණා. එහෙත් පේ‍්‍රමදාස ජනාධිපතිවරයාට තිබූ දැඩි බිය නිසාදෝ ඔරලෝසු කණු පිහිටුවීම යල් පැන ගිය බොරු වැඩක් බව කියන්නට නිලධාරීන් හා ව්‍යාපාරිකයන් පැකිලෙන්නට ඇති. ටික දිනෙකින්ම අකර්මන්‍ය වූ ඔරලෝසු කණු ජනතාව අතර උපහාසයට ලක් වූවා. රජයක්, රාජ්‍ය සංස්ථාවක් හෝ ඒජන්සියක් දැක්මකින් තොරව සංදර්ශනාත්මක වැඩකට අත තබන්නට යන විට එය කල් තබා විවේචනය කර ඇස් ඇරවා ගැනීමට පුරවැසියන් ලෙස අප තැත් කළ යුතුයි. යහපාලනය යනු හුදෙක් ප‍්‍රජාතන්ත‍්‍රවාදීව, ජනතාවට වග කියමින්, දූෂණයෙන් හා නාස්තියෙන් තොරව රාජ්‍ය පාලනය කිරීම පමණක් නොවෙයි. නිසි දැක්මක්, අවබෝධයක් හා කාර්යක්ෂමතාවකින් යුතුව ‘ස්මාට්’ ලෙස රාජ්‍ය තන්ත‍්‍රය කර ගෙන යාමත් යහපාලනයෙ තවත් මූලික අංගයක්. අපේ රටේ ඕනෑ දෙයටත් හැම තැනෙකම හැම කාරියකටම රාජ්‍ය තන්ත‍්‍රය මැදිහත් වීම කලක් තිස්සේ පැවතෙන ජාතික ඇබ්බැහියක්. රාජ්‍ය-කේන්ද්‍රීය (state-centred) මානසිකත්වයක් දශක ගණනක් තිස්සේ ස්ථාපිත වීම නිසා උගතුන් ද ඇතුලූ අපේ බොහෝ දෙනකු මෙහි වරදක් දකින්නේ නැහැ. හැම දෙයක්ම රජය විසින් සම්පාදනය කර දෙන තුරු බලා සිටින අපේ ඇත්තන්ම අනෙක් පසෙකට හැරී ජන ජීවිතයේ හැම පැතිකඩක්ම අනවශ්‍ය ලෙස දේශපාලනීකරණය වීම ගැන මැසිවිලි ද නගනවා! විවෘත වෙළඳපොළ හා ජනමාධ්‍ය යන ක්ෂේත‍්‍ර දෙකේම මේ විසමතාව තිබෙනවා. පුරවැසියන්ගේ අයිතිවාසිකම් සුරකිමින් ව්‍යවසායකයන් ද දිරි ගන්වමින් වෙළඳපොළ නිසි නියාමනය කිරීම රජයක මූලික හා ප්‍රධානතම වගකීමයි. එසේම ප‍්‍රතිපත්ති හා රෙගුලාසි මට්ටමින් අවශ්‍ය මැදිහත්වීම් කරමින් ඵලදායීව හා පොදු උන්නතිය ප‍්‍රවර්ධනය කිරීම ද අප රජයෙන් බලාපොරොත්තු වනවා. රජයන්ට පමණක් කළ හැකි මේ වගකීම් හරිහැටි ඉටු කරනවා වෙනුවට හැම වැඩේම බදා ගෙන කිරීමට යාම අපේ රටේ ආණ්ඩුවල කලක සිට ඇති දුසිරිතක්. උදාහරණ ලෙස ගොවිතැන් කරන්නට, වෙළදාම් කරන්නට, මාධ්‍ය ප‍්‍රකාශනයේ යෙදෙන්නට ශ‍්‍රී ලංකාවේ රජයන් හැම එකක්ම පාහේ කලක සිටම බොහෝ සෙයින් නැඹුරු වී සිටිනවා. තොරතුරු හා සන්නිවේදන ක්ෂේත‍්‍රය ගනිමු. සමාජවාදී යයි කියූ සංවෘත ආර්ථිකය 1977දී විවෘත කොට වසර 38ක් ගත වීත්, රාජ්‍ය ඒකාධිකාරත්වය තිබූ විද්‍යුත් මාධ්‍ය ක්ෂේත‍්‍රය 1992දී විවෘත කොට වසර 23ක් ගත වීත් අපේ ආණ්ඩු තවමත් පත්තර සමාගමක් (ලේක්හවුස්) පාඩු පිට පවත්වා ගෙන යනවා. රේඩියෝ හා ටෙලිවිෂන් ආයතන ද මහජන මුදලින් විශාල වියදම් දරා නඩත්තු කරනවා. ඒ මදිවාට රජය බහුතර හිමිකාරීත්වය (51%) දරණ ටෙලිකොම් සමාගමක් ද තිබෙනවා. මේ අස්සේ ලොවම හිනස්සන ප්‍රෝඩාකාරී විහිළු ද කරනවා. 100%ක් රජයට අයත්, රාජ්‍ය නිලධාරීන් මුළුමනින් පාලනය කරන ශ‍්‍රී ලංකා ගුවන් විදුලි සංස්ථාව 1980 පටන් ප‍්‍රජා රේඩියෝ (community radio) යයි කියා ගන්නා ග‍්‍රාමීය විකාශයන් පවත්වා ගෙන යනවා. ප‍්‍රජා රේඩියෝවට ලොව පිළිගත් නිර්වචනයට අනුව එය ප‍්‍රජාවට අයිති වූ, ප‍්‍රජාව නඩත්තු කරන හා ප‍්‍රජාවම අන්තර්ගතය තීරණය කරන ජනතා මාධ්‍යයක්. මේ ගුණාංග කිසිත් නැති කොත්මලේ හා ඌව වැනි “ප්‍රජා” යයි කියා ගන්නා රේඩියෝ මෙරට තිබෙනවා. සැබෑ තත්ත්වය නොදත් හෝ නිරවුල් අවබෝධයක් නැති හෝ මාධ්‍ය ශිෂ්‍යයන් මෙන්ම සමහර විදේශිකයන් ද මේ රැවටීමට ලක් වනවා. 22 Oct 2003: Radio suffers as Colombo bosses call the shots. By Nalaka Gunawardene. Panos Features, London. මුළුමනින්ම වාණිජ අරමුණු ඇති වෙළඳ සමගම්වලට FM රේඩියෝ විකාශනයන් අරඹන්නට බලපත‍්‍ර රැසක් නිකුත් කර ඇතත් එදා මෙදා තුර කිසිදු සිවිල් සමාජ සංවිධානයකට, පර්යේෂණායතනයකට හෝ පුරවැසියන් පිරිසකට සැබෑ ප්‍රජා රේඩියෝ අරඹන්නට එබඳු බලපත‍්‍රයක් ලබා දී නැහැ. මේ ඇයි? මේ ගැන මීට වසර ගණනාවකට පෙර නේපාලයේ කත්මණ්ඩු නුවර පැවති දකුණු ආසියාතික මාධ්‍ය වැඩමුළුවකදී එවකට සිටි ජනමාධ්‍ය අමාත්‍යංශයේ ලේකම් කුමාර් අබේසිංහගෙන් විමසනු ලැබුවා. එවිට ඔහු කීවේ සැබෑ ප‍්‍රජා රේඩියෝ සඳහා මෙරට අවසර දීමට තරම් (එවකට රජයට) සිවිල් සංවිධාන හා පුරවැසි කණ්ඩායම් ගැන විශ්වාසයක් නොතිබූ බවයි. මෙයට අභියෝග කෙරුණු විට ඔහු උදාහරණයකට ගත්තේ දැන් සියවසක් පැරණි සමූපකාර ව්‍යාපාරයයි. උතුම් අරමුණු පෙරදැරි කර ගත් සමූපකාර සංකල්පය අයාලේ ගොස් විනාශ වූයේ දේශපාලනය එයට පිවිසීම නිසා බවත්, ප‍්‍රජා සංවිධානවලට රේඩියෝ බලපත් දුන් විට දේශපාලන පක්ෂ එය ප‍්‍රචාරණ මෙවලමක් බවට පත් කර ගැනීමේ අවදානමක් ඇති බවත් ඔහු තර්ක කළා. විද්‍යුත් මාධ්‍ය දේශපාලනීකරණය වී ඇති බව ඇත්තයි. රාජ්‍ය මාධ්‍ය පවතින රජයට අසීමිත ලෙස ප‍්‍රචාරක හොරණෑ බවට පත් වන අතර පෞද්ගලික මාධ්‍ය ද ඒවායේ හිමිකරුවන්ගේ දේශපාලන ව්‍යාපෘතීන්ට විවෘතවම පෙනී සිටිනවා. මෙය මෑත වසරවල ඉතා හොඳින් අප අත්දුටු යථාර්ථයක්. කුමාර් අබේසිංහ ප‍්‍රජා සංවිධාන විද්‍යුත් මාධ්‍ය ක්ෂේත‍්‍රයට පිවිසීම වැළැක්වීම යුක්ති යුක්ත කිරීමට මතු කළ අවදානම පෞද්ගලික රේඩියෝ නාලිකා හරහා දැනටමත් හොඳටම සිදු වී තිබෙනවා. මෙනයින් බලන කොට සන්නිවේදන හා තොරතුරු තාක්ෂණ ක්ෂේත‍්‍රවල නිසි දැක්මක් හා නිශ්චිත ප‍්‍රතිපත්ති නැති කමින් අපේ රට දශක ගණනක් තිස්සේ වැරදි මාර්ගවල යනවා. රෑ වැටුණු වළේ දවාලෙත් යළි යළිත් වැටෙනවා. එසේ වූවාට පසුතැවීමක් හෝ වැරදි හදා ගැනීමක් ද එතරම් පෙනෙන්නට නැහැ. 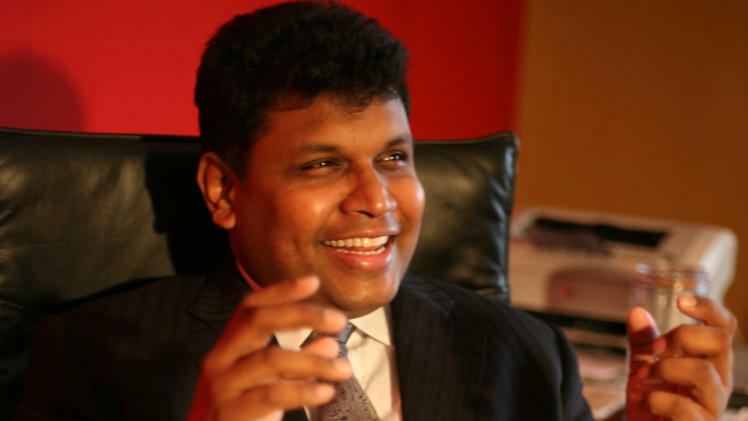 ICTA = Ignorant on Communications and Technology agency of Lankan government? තොරතුරු තාක්ෂණ හා සන්නිවේදන ඒජන්සිය හෙවත් ICTA නම් රජයේ ආයතනය ගැන මීට පෙර 2015 මාර්තු 15දා කොලමින් ද අපි කතා කළා. 2003 පටන් මහජන මුදලින් හා විදේශාධාරවලින් නඩත්තු කරන මේ ආයතනයේ ඵලදායීතාව ගැන බරපතල ප‍්‍රශ්න තිබෙනවා. 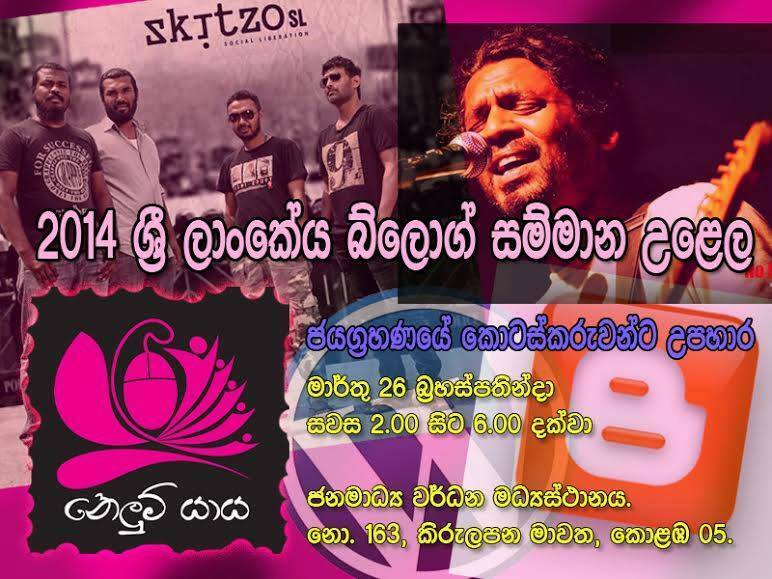 2015 අපේ‍්‍රල් 12 වනදා සන්ඬේ ටයිම්ස් පුවත්පත ICTAහි අලූත් ප‍්‍රධාන විධායක නිලධාරී මුහුන්තන් කනගේ සමග සාකච්ඡාවකින් ලියූ වාර්තාවක් පළ කළා. එහි වැඩි කොටසක් වෙන්කර තිබුණේ මෑතදී ඇරැඹූ, ප‍්‍රසිද්ධ ස්ථානවල නොමිලයේ රැහැන් රහිත ඉන්ටර්නෙට් සේවා (free public WiFi) ලබා දීම ගැන කතා කරන්නයි. මෛත‍්‍රීපාල සිරිසේන මැතිවරණ ප‍්‍රකාශනයෙහි මෙසේ නොමිලයේ WiFi ලබා දීමට පැහැදිලිව ප‍්‍රතිඥා දී තිබුණා. ටෙලිකොම් සමාගම් හරහා මේ පොරොන්දුව ඉටු කිරීම ICTA ආයතනය මගින් සම්බන්ධීකරණය කිරීමේ කිසිදු වරදක් නැහැ. එහෙත් මෙබඳු සන්දර්ශනාත්මක මට්ටමේ වැඩවලින් ඔබ්බට දිවෙන ප‍්‍රතිපත්තිමය හා දිගුකාලීන පියවර ගැනීමට ICTA ප‍්‍රමුඛත්වය දිය යුතුයි. ගෙවී ගිය දශකයේ ICTA නොකළේ ද එයයි. සන්ඬේ ටයිම්ස් වාර්තාවේ අවසානයේ කනගේ කියන්නේ ICTA ආයතනයේ ඊළඟ ව්‍යාපෘතිය ‘තොරතුරු තාක්ෂණය හරහා පුරවැසි මාධ්‍යවේදය’ බවයි. මෑතකදී එයට පාලක මණ්ඩල අනුමැතිය ලද බවත් ඔහු කියනවා. සන්ඬේ ටයිම්ස් වාර්තාකරු නිවැරදිව ඔහුට උපුටා දක්වා ඇතැයි උපකල්පනය කරමු. එවිට මේ ව්‍යාපෘතිය ඉලක්ක කරන්නේ නව සන්නිවේදන තාක්ෂණ මෙවලම් හරහා පුරවැසියන් හසු කර ගන්නා ඡායාරූප හෝ වීඩියෝ ප‍්‍රධාන ප‍්‍රවාහයේ මාධ්‍යවලට යැවීම ගැන ජනතාව දැනුවත් කොට එයට අවශ්‍ය හැකියාව ලබා දීමලු. මේ හරහා පුරවැසියන් 100,000ක් සම්බන්ධ කර ගන්නට ICTA අදහස් කරනවාලූ. පුරවැසි මාධ්‍යකරණය ගැන අප මේ කොලමින් විස්තරාත්මකව විටින් විට විග‍්‍රහ කොට තිබෙනවා. ඒ සැම විටම අප අවධාරණය කළේ නවීන සන්නිවේදන තාක්ෂණයන් නිසා අද ඕනැම කෙනකුට තමාගේම තොරතුරු, රූප, වීඩියෝ හා අදහස් එසැනින් සමාජමාධ්‍යගත කළ හැකි බවයි. බ්ලොග්කරුවන්, සමාජ මාධ්‍ය ජාල භාවිතා කරන්නන් නිතිපතා කරන්නේ මෙයයි. මෙය අලූත් දෙයක් නොවෙයි. සමාජ මාධ්‍ය හා බ්ලොග් භාවිතයේ දශකයකට වැඩි අත්දැකීම් මෙරට දැන් තිබෙනවා. පුරවැසි මාධ්‍යවලට වඩා බෙහෙවින් ගතානුගතික, පසුගාමී හා වැඩවසම් මානසිකත්වයකින් යුතු මෙරට ප‍්‍රධාන ප‍්‍රවාහයේ මුද්‍රිත හා විද්‍යුත් මාධ්‍ය ද මෑතක පටන් තමන්ගේ පුවත් සම්පාදනයට පුරවැසි දායකත්වය ලබා ගන්නට තැත් කරනවා. News 1st කරන U-Report (http://ureport.lk/) උදාහරණයක්. මේ ස්වේච්ඡා පුරවැසි මාධ්‍ය ජාලයට දැන් 18,000කට වැඩි සංඛ්‍යාවක් බැඳී සිටිනවා. එහෙත් පුරවැසි මාධ්‍යකරණය (citizen journalism) යනු ප‍්‍රධාන ධාරාවේ මාධ්‍ය ආයතනවලට (සලකා බලා කැමති පරිදි භාවිතයට) බිම් මට්ටමෙන් අමුද්‍රව්‍ය සැපයීම නොව එම අධිපති මාධ්‍යවලට සමාන්තරව තමන්ගේම විකල්ප මාධ්‍ය පවත්වා ගැනීමයි. අධිපති මාධ්‍යවල දොරටු පාලකයා හරහා යන්නට සිදු වූ විට ස්වයං ප‍්‍රකාශක අයිතිය පුරවැසියන්ට අහිමිවනවා පමණක් නෙවෙයි. එම ආයතනවල රුචි අරුචිකම්වලට අනුගත වීමට ද සිදු වනවා. හැම පුරවැසියකුටම තමන් කැමති අධිපති මාධ්‍ය ජාලයකට තොරතුරු හා රූප සැපයීමට අයිතියක් තිබෙනවා. එහෙත් රජයේ ආයතන තොරතුරු සමාජයේ ඉදිරි ගමන ප‍්‍රවර්ධනය කළ යුත්තේ ස්වයං ප‍්‍රකාශනය හා විකල්ප මාධ්‍ය බිහි වීමට අනුබල දීම හරහායි. එසේ නැතිව අධිපති මාධ්‍යවලට මුක්කු ගැසීමෙන් නොවෙයි. මේ තරම් මූලික මට්ටමේ නිරවුල් බවක් හා දැක්මක්වත් ICTA ප‍්‍රධානීන්ට නැති හැඩයි. මෙහි තවත් ඛේදජනක පැතිකඩක් තිබෙනවා. නව රජය යටතේ ශ‍්‍රී ලංකා ටෙලිකොම් සමාගමත්, ICTA ආයතනයත් අනුයුක්ත කොට තිබෙන්නේ විදේශ කටයුතු අමාත්‍යංශයටයි. නියෝජ්‍ය විදේශ අමාත්‍ය අජිත් පී. පෙරේරා මෙරට පාර්ලිමේන්තුවට ඡන්දයෙන් තේරී පත් වූ මුල්ම බ්ලොග් ලේඛකයායි. ICTA ආයතනය අයාලේ යන්නේ පුරවැසි මාධ්‍යකරණ අත්දැකීම් සතු මෙබඳු දේශපාලනඥයකුගේ අධීක්ෂණය යටතේයි! ICTA වසර 12ක පමණ කාලයක් රජයන් කිහිපයක් යටතේ ක‍්‍රියාත්මක වුවත් තොරතුරු සමාජය ප‍්‍රවර්ධනය සඳහා ප‍්‍රතිපත්තිමය හා දිගු කාලීන වශයෙන් ගත හැකි පියවර ගැන නිසි දැක්මක් ඇති බවක් පෙනෙන්නට නැහැ. මුල පටන් එහි ක‍්‍රියාකාරීත්වය ගැන විචාරශීලීව බලා සිටින මට එය සාක්ෂි සහිතව කිව හැකියි. 2003-4 වකවානුවේ ඊ-ජර්නලිස්ට්ලා යයි පිරිසක් බිහි කරන්නට මෙම ආයතනය තැත් කළ සැටි මට මතකයි. ඒ ගැන විජය පරිගණක සඟරාවේ 2004 ජනවාරි කලාපයේ කතුවැකියක් ලියමින් එහි ආරම්භක සංස්කාරක මා මිත‍්‍ර චානුක වත්තේගම කීවේ මෙයයි. යහපාලන රජය යටතේ ICTA පාලක මණ්ඩලයට මෑතදී පත්ව සිටින චානුක වත්තේගම මැදිහත් වී හෝ ඉබාගාතේ යන, මහජන මුදල් නාස්ති කරමින් ලෝකයාගේ විහිලූවට ලක් වන මේ රජයේ ආයතනය බේරා ගනු ඇතැයි අපි උදක්ම පතමු. 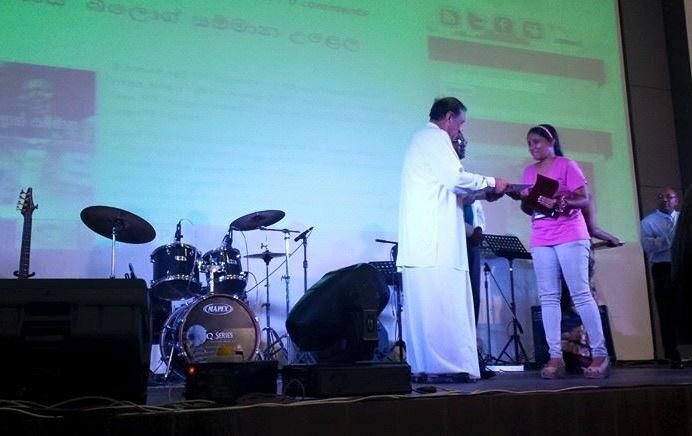 April 2015 marks 20 years of commercial Internet connectivity in Sri Lanka. Nearly a quarter of our 21 million population is estimated to get online, most of them using mobile devices. Blogging — as an activity of self-expression using the web – is being pursued by a few thousand people, and many thousands more participate as readers or discussants. Some blogs offer serious political and social commentary, while others have become platforms for nurturing new talent in prose, verse, photography, videography or graphic art. Bloggers fit into a larger new media ‘ecosystem’ called citizen journalism, which is constantly evolving. Although not well studied by media researchers, this phenomenon is now a part of our public sphere. 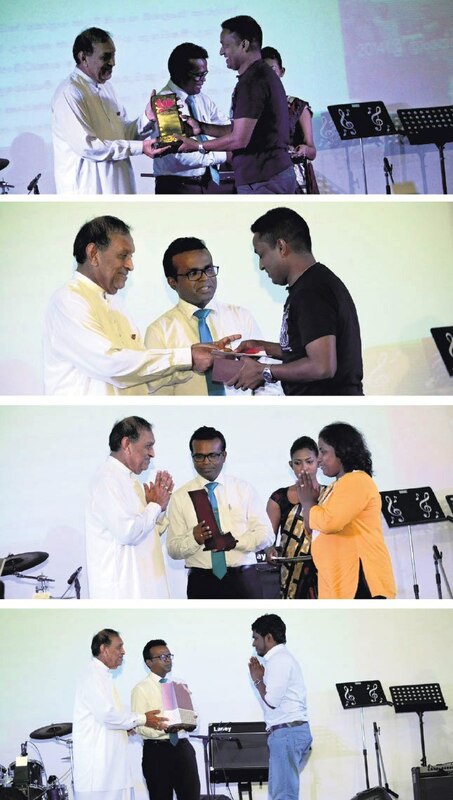 In this week’s Ravaya column (in Sinhala, published in issue of 12 April 2015), I report on the winners and speeches of the recently held Nelum Yaya blog awards ceremony that recognized outstanding Sinhala language bloggers of 2014. නෙළුම්යාය සහෘද සමූහය සංවිධානය කළ 2014 හොඳම සිංහල බ්ලොග් සඳහා සම්මාන පිරිනැමීමේ උළෙල මාර්තු 26 වැනිදා මාධ්‍ය අමාත්‍යාංශ ශ‍්‍රවණාගාරයේදී පැවැත් වුණා. එහිදී මෙරට බ්ලොග් අවකාශය, පුරවැසි මාධ්‍යකරණය හා ඒ හරහා මතු වන අභියෝග ගැන කතා කිරීමට මටද ඇරැුයුම් කොට තිබුණා. මෙරටට වාණිජ මට්ටමේ ඉන්ටර්නෙට් සේවා හඳුන්වා දුන්නේ 1995 අපේ‍්‍රල් මාසයේ. එයට විසි වසරක් පිරෙන මේ වන විට මෙරට ජනගහනයෙන් 22%ක් පමණ නිතිපතා ඉන්ටර්නෙට් භාවිත කරනවා. එහෙත් එහි බලපෑම ඉන් ඔබ්බට විශාල ජන පිරිසකට විහිදෙනවා. මේ නිසා වෙබ් අවකාශයේ එක් සුවිශේෂී අන්තර්ගත කොටසක් වන බ්ලොග් ගැන ටිකක් විමසා බැලීමට මෙය හොඳ අවස්ථාවක්. බ්ලොග් (blog) ඉංග‍්‍රීසි වදන සෑදී තිබෙන්නේ වෙබ් ලොග් (web log) යන වදන් දෙක එකතු වීමෙන්. සරල අරුත නම් වෙබ් අවකාශයේ ලියන සටහන් යන්නයි. මේ වචනය බිහි වුණේ 1997දී වුවත් බ්ලොග් ලෙස සැලකිය හැකි වෙබ් ලියවිලි 1994 පටන් පැවතුණා. වෙබ් අවකාශය අද අප දන්නා ආකාරයෙන් (World Wide Web) නිපදවනු ලැබුවේ 1989දී. 1990 දශකය තුළ එය සෙමින් ලෝකය පුරා ව්‍යාප්ත වුණා. මුල් යුගයේ වෙබ් අඩවියක් නිර්මාණය කරන්නට, සංශෝධනය හෝ යාවත්කාලීන කරන්නට පරිගණක ශිල්ප දැනුම ඉහළට දැන සිටීම ඕනෑ වුණා. මේ තත්ත්වය වෙනස් වූයේ 1990 දශකය අගදී බ්ලොග් ලිවීම පහසු වන, නොමිලේ වෙබ් ඉඩ ලබා දෙන සයිබර් වේදිකා බිහිවීමෙන් පසුවයි (Blogger 1999; WordPress 2003). වෙබ් අඩවි තැනීමට අවශ්‍ය කිසිදු HTML ශිල්ප දැනුමක් නැති මා වැනි අයටත් විනාඩි කිහිපයක් ඇතුළත අලූත් යමක් ලියා වෙබ් අවකාශයට එකතු කරන්නට හැකියාව ලැබුණේ එවිටයි. බ්ලොග් යනු පෞද්ගලික අදහස් ප‍්‍රකාශනයක්. එයට වචන, රූප, වීඩියෝ හෝ හඬ යොදා ගෙන කළ හැකියි. එහි සුවිශේෂත්වය එය කියැවීමෙන් පසු අදහසක් එක් කිරීමේ (කමෙන්ටුවක් දැමීමේ) අන්තර් ක‍්‍රියාකාරී බවයි. බ්ලොග්කරණය කිසිවකුගෙන් අවසර නොපතන, හිතෙන වෙලාවට ස්වේච්ඡාවෙන් කරන කාරියක්. එසේම බොහෝ විට බ්ලොග් රචකයන් ප‍්‍රසිද්ධිය සොයා නොයන, සමහරවිට ආරූඪ නම්වලින් ලියන අය නිසා මේ ක්ෂේත‍්‍රයේ කවුරුන් කුමක් කෙසේ කරනවාද යන්න හරිහැටි තක්සේරු කිරීම ලෙහෙසි නැහැ. ශ‍්‍රී ලංකාවේ මේ වන විට බ්ලොග් රචකයන් – ලේඛකයන් කීදෙනකු සිටිනවාද යන්න හරිහැටි පැහැදිලි නැහැ. නෙළුම්යාය සංවිධායකයන්ගේ අනුමානය සිංහල බ්ලොග් රචකයන් 300ක් පමණ සිටින බවයි. මේ ක්ෂේත‍්‍රය කලක සිට සමීපව අධ්‍යයනය කරන මා මිත‍්‍ර චානුක වත්තේගම කියන්නේ මෙරට භාවිත වන තිබසින් එකක් යොදා ගනිමින් බ්ලොග් පවත්වාගෙන යන සිය ගණනක් (සමහර විට දහසකට වැඩි) දෙනා සිටින බවයි. මේ සමහරුන් සංඛ්‍යාත්මකව ඉතා කුඩා පාඨක පිරිසක් ආකර්ෂණය කර ගන්නා අතර කැපී පෙනෙන බ්ලොග් අඩවිවලට දිනකට දහස් ගණනක් පාඨකයන් පැමිණෙනවා. එවැනි බ්ලොග් රචනා සමහරකට දුසිම් ගණන් ප‍්‍රතිචාර ලැබෙන අතර බොහෝ විට මුල් රචනයට වඩා දිගු පාඨක සංවාද හා විසංවාද දිග හැරෙනවා. නෙළුම්යාය (http://nelumyaya.com) සංස්කාරක (හා ‘කොළඹ ගමයා’ නමින් බ්ලොග් ලියන) අජිත් ධර්මකීර්ති කියන්නේ මෑත වසරවල සිංහල බ්ලොග් අවකාශය විවිධත්වයෙන් හා සහභාගිත්වයෙන් වඩාත් පුළුල් වී ඇති බවයි. විවිධ මාතෘකා යටතේ දේශපාලන, සමාජයීය, ආර්ථික හා වෙනත් කාලීන විග‍්‍රහයන් බ්ලොග්වල නිතර පළ වනවා. එසේම නිර්මාණාත්මක සාහිත්‍යයක්ද දැන් බ්ලොග් හරහා මතුවී තිබෙනවා. කෙටිකතා, කවි, සංචාරක සටහන්, විහිළු කතා, හමුදා කතා මෙන්ම ඡායාරූප, කාටුන් හා කෙටි වීඩියෝ ද බ්ලොග් අවකාශයේ හමු වනවා. ‘ඉතාමත් නිර්මාණශීලී බ්ලොග් රචකයන් සිටියත් ප‍්‍රධාන පෙළේ ජනමාධ්‍ය තුළින් ඉඩ දුන්නේ පිළිගැනීමක් ඇති මාධ්‍යකරුවන්ට පමණයි. මෙතැනින් එහාට මේ පුරවැසි මාධ්‍යකරණය සීමිත පාඨක පිරිසෙන් එහාට පුළුල් කිරීමේ සූදානමක් පෙනෙන්නට තිබුණේ නැහැයැ’යි බ්ලොග් සම්මාන උළෙලේදී ඔහු කියා සිටියා. ඇත්තටම බොහෝ බ්ලොග් රචකයන් ප‍්‍රධාන ප‍්‍රවාහයේ මාධ්‍යවල පිළිගැනීම හෝ ආවරණය පතන්නේ ද නැහැ. බ්ලොග් යනු උප සංස්කෘතියක්. එයටම ආවේණික ජවයක් හා ගතිගණ සමුදායක් එහි තිබෙනවා. එහෙත් එන්න එන්නම රසබර හා හරබර අන්තර්ගතය වැඩියෙන් බිහි වන බ්ලොග් අවකාශය වැඩි ලාංකික පාඨක පිරිසක් වෙත ගෙන යා යුතුයැ’යි ධර්මකීර්ති මතු කරන තර්කයට නම් මා එකඟයි. බ්ලොග් අවකාශයට ඔබ මුල් වරට පිවිසෙන්නේ නම් එහි අගමුල හඳුනා ගැනීම තරමක අභියෝගයක්. හැම බ්ලොග් එකකම නිතිපතා අලූත් රචනයක් හෝ එකතු කිරීමක් සිදු වන්නේ නැහැ. අලූතින් බ්ලොග් රචනයක් හෙවත් පෝස්ටුවක් එකතු වූ බ්ලොග් ලැයිස්තු ගත කරමින් ගතික ලෙස නිරතුරු යාවත්කාලීන වන මාර්ගෝපදේශක වෙබ් අඩි තිබෙනවා. 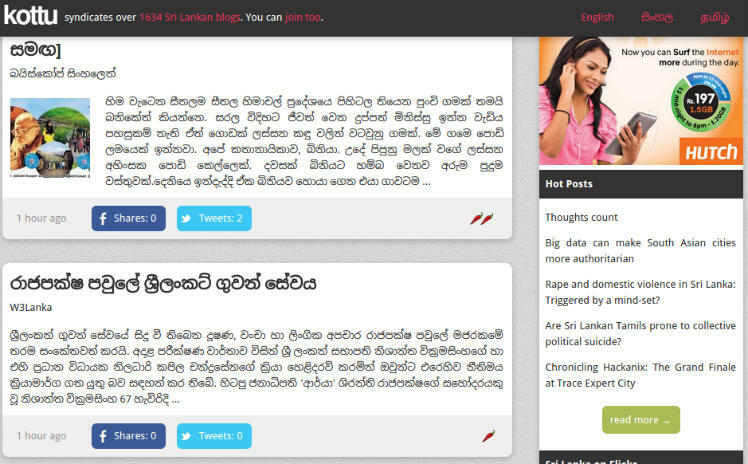 මේවාට බ්ලොග් කියවනයන් (blog syndicators, blog aggregators) යයි නමක් යෙදෙනවා. ලාංකික බ්ලොග් කියවනයක් මුලින්ම බිහි වූයේ මීට දශකයකට පෙර. 2005 අපේ‍්‍රල් මාසයේ. කොත්තු (http://www.kottu.org) නම් වන එහි ස්වයංක‍්‍රීයව අලූත්ම බ්ලොග් පෝස්ටුවල හෙඩිම හා මුල් වැකිය පෙන්වනවා. කැමැති අයට එතැනින් ක්ලික් කොට මුලු බ්ලොග් එකම කියැවීමට යා හැකියි. කොත්තු නිර්මාණය කර මහජන සේවාවක් ලෙසින් පවත්වා ගෙන යන්නේ බරට ඉංග‍්‍රීසි බ්ලොග්කරණයේ පුරෝගාමියකු වන ඉන්දි සමරජීවයි. මීට අමතරව දැන් සතුටු වැස්ස http://blogs.sathutu.com, ලාංකීය සිතුවිලි http://syndi.lankeeya.lk, ටොප් සිංහල බ්ලොග් http://topsinhalablog.com, අඹ ගහ යට http://ambagaha.blogspot.com වැනි කියවනයන් කිහිපයක් තිබෙනවා. මේ එකක්වත් සියලූ ලාංකික හෝ සිංහල බ්ලොග් ආවරණය නොකළත් අලූත් බ්ලොග් නිර්මාණ ගැන ඉක්මනින් දැන ගැනීමට මෙවැන්නකට පිවිසීම ප‍්‍රයෝජනවත්. තනි පුද්ගලයන් පවත්වාගෙන යන බ්ලොග්වලට අමතරව සමූහයකගේ ලියවිලි හා වෙනත් නිර්මාණ පළකරන, බ්ලොග් ද තිබෙනවා. කලා-සංස්කෘතික හා දේශපාලනික ප‍්‍රශ්න විචාරයට ලක් කරන බූන්දි අඩවියත් www.boondi.lk, කාලීන සමාජ හා දේශපාලන සංවාදයන්ට වේදිකාවක් සපයන විකල්ප අඩවියත් www.vikalpa.org කැපී පෙනෙන උදාහරණයි. සිංහල බ්ලොග් අවකාශයේ ප‍්‍රබල භූමිකාවක් හිමි කරගත් W3Lanka www.w3lanka.com නමින් ද්විභාෂික බ්ලොග් අඩවියක් කරන, අජිත් පැරකුම් ජයසිංහ කෙටි දේශනයක් කරමින් කීවේ අපේ බ්ලොග්කරණය තවමත් මූලික අදියරයක පවතින බවයි. ඔහු දන්නා තරමට අපේ පූර්ණකාලීන බ්ලොග් ලේඛකයන් නැහැ (පූර්ණ කාලීන මුද්‍රිත ලේඛකයන් පවා අපට ඉන්නේ කී දෙනාද?). ජීවිකාවට කාලය හා ශ‍්‍රමය කැප කරන අතර ඉතිරි වන විවේකය යොදා ගෙනයි අපේ ඇත්තෝ බ්ලොග් ලියන්නේ. එහෙත් බටහිර රටවල දැන් හොඳ පිළිගැනීමක් ලද ප‍්‍රමුඛ බ්ලොග් ලේඛකයන්ට එයින්ම ජීවත් විය හැකියි (වෙබ් දැන්වීම් ආකෘතිය හරහා). සිංහල බ්ලොග් අවකාශය (හා දෙමළෙන්, ඉංග‍්‍රීසියෙන් ලියැවෙන ලාංකික බ්ලොග්) වසරක් පාසා පුළුල්වෙමින් ඇතත් බ්ලොග් ලේඛකයන්ට සමාජ පිළිගැනීමක් තවමත් බිහි වී නැහැ. ඔවුන්ට ‘බ්ලොග්කාරයෝ’ යැයි කීම හරහාම යම් අවතක්සේරුවක් සිදු වනවා. එකම ලිපිය පත්තරයක, සඟරාවක පළ වූ විට ලැබෙන සමාජ ප‍්‍රතිචාරය එය බ්ලොග් එකක පළවූ විට තවමත් ලැබෙන්නේ නැහැ. මෙයට එක් හේතුවක් නම් අපේ බොහෝ දෙනකු බ්ලොග් ගැන නොදැනීම හෝ වෙනත් වෙබ් ප‍්‍රකාශන සමග බ්ලොග් පටලවා ගැනීමයි. නෙළුම්යාය සම්මාන උළෙලේදී මාධ්‍ය අමාත්‍යාංශ ලේකම් කරුණාරත්න පරණවිතාන කීවේ මෙරට ප‍්‍රධාන ප‍්‍රවාහයේ සමහර පුවත්පත් කර්තෘවරුන් බ්ලොග් ගැන අසාවත් නැති බවයි! ‘සතර දිගන්තය’ http://satharadiganthaya.blogspot.com නමින් කලක් බ්ලොග් රචනයේ යෙදුණු පරණවිතානයන්ටද මේ ගැන පෞද්ගලික අත්දැකීම් තිබෙනවා. ‘බ්ලොග් ලිවීම රස්තියාදුකාර වැඩක්. එය ඔබේ වෘත්තීය තත්ත්වයට ගැළපෙන්නේ නැහැ’ යයි ඇතැම් සහෘදයන් ඔහුට අවවාද කොට තිබෙනවා! බ්ලොග් අවකාශය තුළ අන්තර්ගතය නියාමනයට වත්මන් රජයට කිසිදු අදහසක් නැති බවට මාධ්‍ය අමාත්‍යාංශ ලේකම්වරයා සහතික වූවා. බ්ලොග්කරණය යම් ප‍්‍රමිතීන්ට යටත් කරන්න යැ’යි එම සභාවේම එක් කථිකයකු කළ ඉල්ලීම ඔහු කාරුණිකව බැහැර කළා. පසුගිය රජය පරිගණක සාක්ෂරතාව වැඩි කිරීමට ක‍්‍රියා කළ බවට උදම් අනන අතර විචාරශීලීව වෙබ් අවකාශයේ සන්නිවේදනය කිරීමට අකුල් හෙළුෑ බව අප දන්නවා. ගෙවී ගිය වසර කිහිපය තුළ විදුලි සංදේශ නියාමන කොමිසමේ (TRC) අණ පරිදි සමහර දේශපාලන වෙබ් අඩවි හා බ්ලොග් මෙරට තුළ කියැවීම අවහිර කළත් දැන් මේ තහංචි ඉවත් කර තිබෙනවා. ‘මෙබඳු තාක්ෂණික අවහිරකිරීම් මින් මතු සිදු වන්නට අප ඉඩ තියන්නේ නැහැ. අදහස් ප‍්‍රකාශනයේ අයිතිය සීමා නොකරන මාධ්‍ය ප‍්‍රතිපත්තියක් අප පවත්වා ගන්නවා’ යැයි පරණවිතානයන් කළ ප‍්‍රකාශය වැදගත්. බ්ලොග් අවකාශයේ හිමිකරුවන්, දොරටු පාලකයන් හෝ වෙනත් අධිපතියන් නැහැ. බෙහෙවින් අධිපතිවාදී අපේ ප‍්‍රධාන ප‍්‍රවාහයේ මාධ්‍යවලට බ්ලොග් නොපෑහෙන්නේත් ඒ නිසා විය හැකියි. සම්මාන උළෙලේදී මා කීවේ ඔඩොක්කු මාධ්‍යවේදීන් බහුල අධිපති මාධ්‍යවලට වඩා ජනතාවාදී සමාජ හිතකාමී මෙහෙවරක් අද සමහර ප‍්‍රමුඛ බ්ලොග් ලේඛක ලේඛිකාවන් ඉටු කරන බවයි. පසුගිය ජනාධිපතිවරණ සමයේදී අප මෙය දුටුවා. 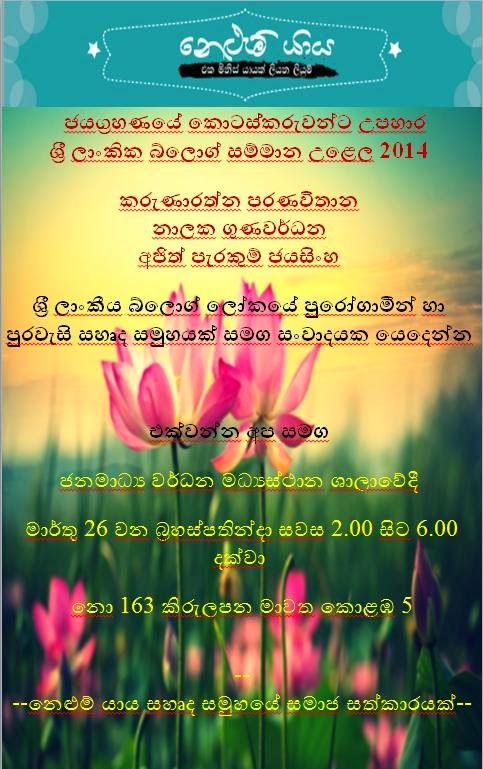 මෙයට හොඳ උදාහරණයක් නම් 2014 වසරේ හොඳම සිංහල බ්ලොග් ලේඛකයා ලෙස පිදුම් ලද මාතලන් හෙවත් ප‍්‍රියන්ත හේවගේ. ඔහුටම ආවේණික පොදු ජන වහරක් යොදා ගනිමින් සමාජ, ආර්ථික, දේශපාලනික හා ආගමික මාතෘකා ගැන ගැඹුරු එහෙත් පණ්ඩිත නොවූ විග‍්‍රහයන් ඔහු ලියනවා. විටෙක හාස්‍යය හා උපහාසයත්, තවත් විටෙක ශෝකය හා වික්ෂිප්ත බවත් ඔහුගේ බ්ලොග් රචනා තුළ හමුවනවා. යථාර්ථය උඩුකුරු යටිකුරු වූ වත්මන් ලක් සමාජය එහි සාමාන්‍ය මිනිසුන්ට ග‍්‍රහණය වන සැටි ගැන එය හොඳ කැඩපතක් http://maathalan.blogspot.com. බ්ලොග්වල හමු වන්නේ කාලීන විමර්ශන පමණක් නොවෙයි. 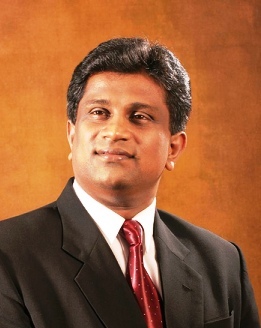 ගද්‍ය හා පද්‍ය නිර්මාණ ද වැඩි වැඩියෙන් දැන් පළ වෙනවා. තමන්ගේ නිර්මාණයක් පත්තරයක පළ කරවා ගන්නට හඳුනන හෝ නොහඳුනන කෙනකු පසුපස යෑම දැන් අවශ්‍ය නැහැ. සම්මාන උළෙල ඇමතූ බන්දුල නානායක්කාරවසම් කලාකරුවා කීවේ ඉතා ප‍්‍රශස්ත මට්ටමේ පද්‍ය නිර්මාණ දැන් අපේ බ්ලොග්වල නිතර කියවිය හැකි බවයි. රත්නපුරේ බට්ටි (ඩබ්ලියු. ඒ. කාන්ති) අමානුෂික පොලිස් ප‍්‍රහාරයට ලක් වූ අවස්ථාවේ එම සිදුවීම වීඩියෝ ගත කොට සමාජ මාධ්‍ය ජාල හරහා රටට පෙන්වූයේ පුරවැසි මාධ්‍යකරුවෙක්. එය පාදක කර ගෙන ‘බට්ටි’ නමින් නිසඳැස් කවියක් ලියූ දමිත් ගුණවර්ධනට වසරේ හොඳම බ්ලොග් කවියට සම්මානය පිරිනැමුණා. මේ කෙටි විග‍්‍රහයේ උදාහරණ ලෙස දැක්විය හැකි වූයේ බ්ලොග් කිහිපයක් පමණයි. බ්ලොග් ගැන උනන්දු වන කාටත් මා කියන්නේ මෙයයි: ඉඩ ඇති පරිදි බ්ලොග් අවකාශයේ සැරිසරන්න. නූතන යුගයේ සයිබර් කැඩපත් පවුරක් වැනි එහි විචිත‍්‍රත්වය හා ගති සොබා හඳුනා ගන්න. එසේ ප‍්‍රමාණවත් අවබෝධයක් ලැබූ පසු පමණක් ඒ ගැන නිගමනවලට එළැඹෙන්න. එසේම පුවත් වෙබ් අඩවි, ගොසිප් වෙබ් අඩවි සමග බ්ලොග් අඩවි පටලවා නොගන්න. හොඳ පත්තර හා කැලෑ පත්තර අතර වෙනස මෙන් වෙබ් අවකාශයේද හැම ආකාරයේම ප‍්‍රකාශන ඇති බව සිහි තබා ගන්න. Back in December 1993, Wired magazine asked readers to nominate seven modern wonders of the world – extraordinary structures or phenomena that characterise our age. Its editors made the final choices based on hundreds of ideas received. Predictably enough, the list was dominated by high tech developments like the Human Genome Project, the Internet and micro-manufacturing. With remarkable foresight, they also included senior citizens. “The dream of an immortal society is the dominant engine powering the bulk of most 20th century research in countless areas including medicine, pharmaceuticals, surgery, and life extension techniques as well as developments in politics and finance — entitlements, pension funds and mutual funds,” added Wired. Now, into the second decade of the new century, societies worldwide are facing the challenge of ageing populations. To manage this demographic transition well, they need the right attitudes and policies. Population ageing happens when older people (typically over 60) account for an increasingly large proportion of the total population. It is the result of declining fertility rates, lower infant mortality and increasing survival at older ages – all triumphs of development. This happened slowly but steadily during the last few decades. Worldwide, older people’s share of population has risen sharply. In 1950, when the world’s population was 2.5 billion, there were 205 million persons over 60. In 2014, there were 868 million such persons – nearly 12% of the total. Meanwhile, the number of new-borns has been falling. In 2000, for the first time in history, there were more people over 60 globally than children below 5. 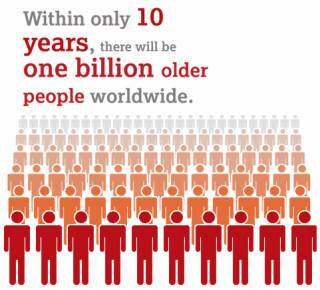 And within the next decade, the number of older persons will surpass 1 billion. Proportions matter more than absolute numbers. It is the age structure of a country’s population that directly affects economic productivity and human development. In South Asia (SAARC region), Sri Lanka has the highest proportion of older people, which was 13% in 2014. This is projected to rise to 20% by 2031, and a quarter by 2041. Parallel to this, the proportion of working age population – which reached its peak in 2006 (65.1%) – will keep falling. This is similar to what is happened in many East Asian countries. How can we prepare for this shift, to avoid being overwhelmed economically and socially? Philip O’Keefe, the World Bank’s lead economist on social protection and labour, says the risks associated with ageing are real — but can be mitigated with the right policy responses. “We always look at the costs (of ageing), but the economic and business opportunities are enormous,” he told HelpAge International’s Asia regional conference in Thailand in September 2014. 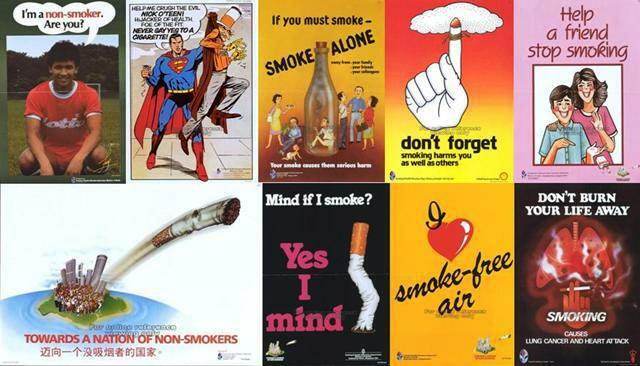 For example, as people enjoy longer and healthier lives, retirement age and habits need rethinking. O’Keefe says that many Asian countries’ retirement age has not kept up with rising life expectancy. But rather than embarking on the often contentious revision of retirement age, countries could gradually ‘blur the line’ between working and stopping it – as Japan, Korea and Singapore have done. In Sri Lanka, mandatory retirement age for public servants is 60 years (with some exceptions). Last year, then health minister (and now President) Maithripala Sirisena proposed that this be raised to 65, with the option of retiring at 60. The rationale is clear. Lankans have an average life expectancy of over 76 years, with women living a few years longer than men. Also, today’s older people are markedly different compared to those two generations ago. They are healthier and remain more active well into their 70s or 80s. This enhances their value to society: they are a resource to be harnessed. 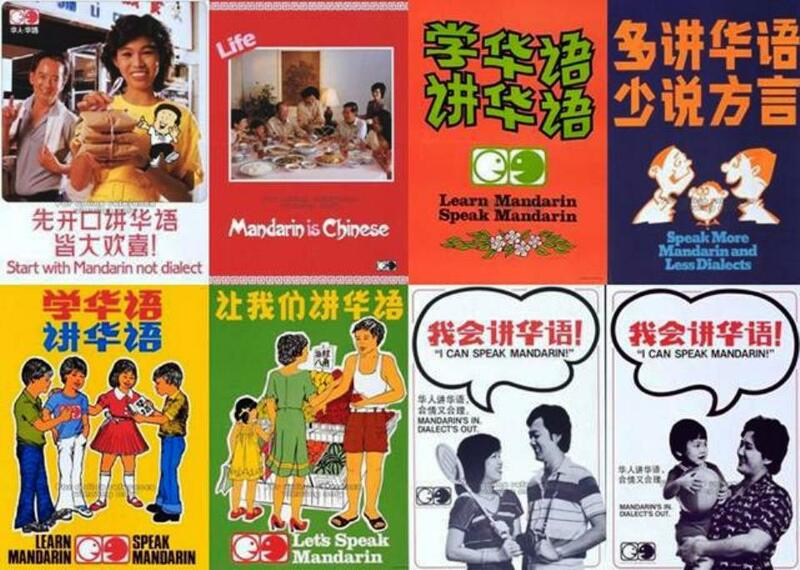 This is the trend across Asia. 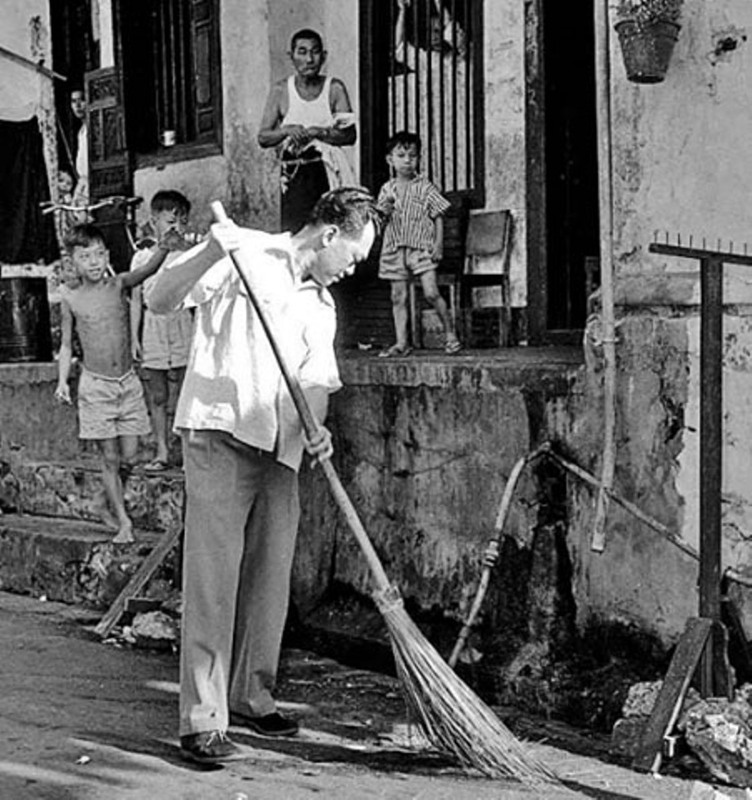 To benefit from this, societies must redesign and realign themselves, says Eduardo Klien, regional director of HelpAge International for East Asia and Pacific. Countries need to make far-reaching changes to address population ageing so as to optimise older people’s contributions. In formulating policies, it is important to avoid alarmism. The common media portrayal of ageing as a ‘demographic time-bomb’ or ‘silver tsunami’ is not accurate. Nor is this fate inevitable as developed country experience shows. Better data gathering and analysis can help promote a more balanced approach. For example, censuses need to collect statistics that are more disaggregated by age and gender (lumping together everyone over 60 or 65 is no longer good enough). The Global AgeWatch Index, which ranks countries by how well their ageing populations are faring, takes stock of how countries are faring. Compiled by HelpAge International, it measures performance in four areas: income, health, employment and education, and existence of an ‘enabling environment’ (based on factors like physical safety, civic freedom and access to public transport). 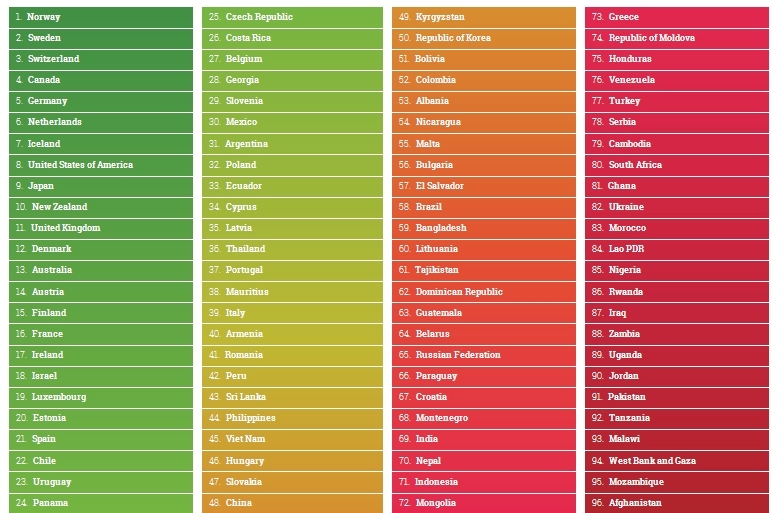 Global AgeWatch Index 2014 assessed 96 countries which covered nine out of ten people over 60 worldwide. Norway topped the list, followed by Sweden and Switzerland. The only Asian country among the top 10 was Japan (No 9). In South Asia, Sri Lanka was placed higher (No 43) than other SAARC countries – but there is much to be done. According to the data crunched, an average Lankan of 60 years can expect to live for another 20 years, 16.2 of which are likely to be in good health. But many of our older persons experience problems of psychological wellbeing – and a lack of counseling support. More worrying is income security. 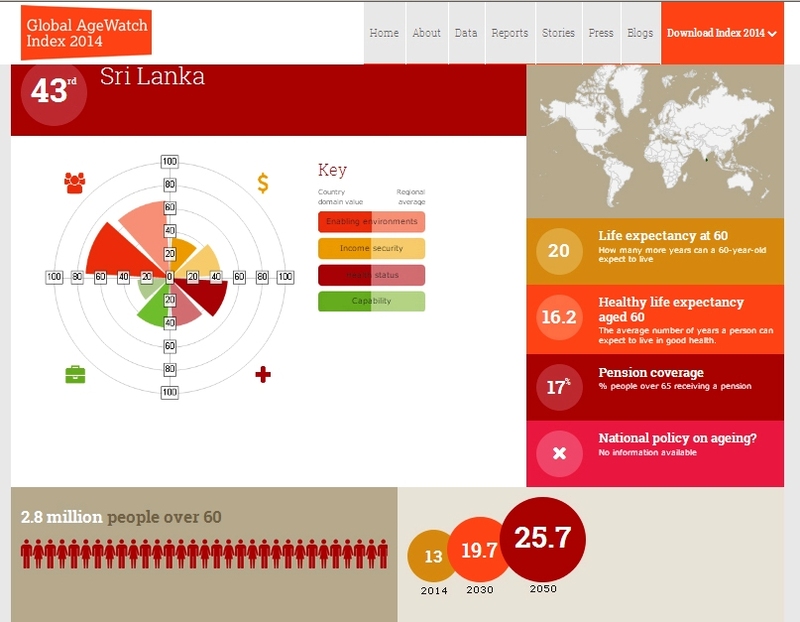 Pension income coverage in Sri Lanka is 17% of older persons, despite there being several public and private schemes. Given that more people work in the informal sectors – such as farming, fishing and trading – enhancing coverage will need a multi-pronged approach. One option is non-contributory social pension schemes, but this needs to be balanced with long-term viability. Sri Lanka already spends around 1.5% of GDP on public sector pensions. Pension reform with innovation thus becomes a policy priority. Modern wonders do come with a price! 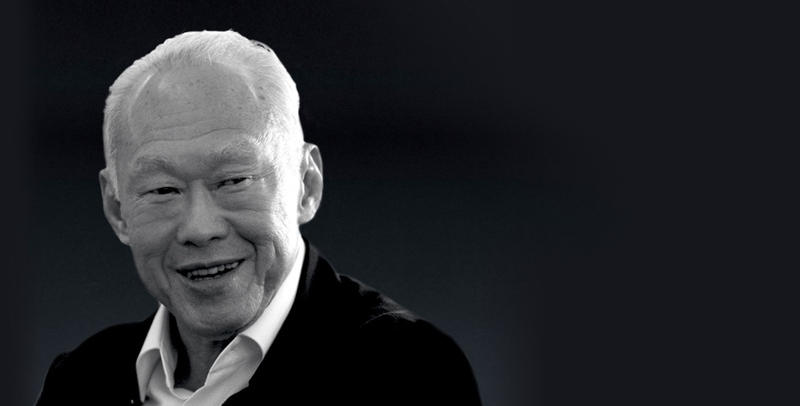 In this week’s Ravaya column (in Sinhala, published in issue of 5 April 2015), I explore Lee Kuan Yew’s legacy from the perspective of many public education efforts in Singapore during his time as Prime Minister (1959-1990) and afterwards. 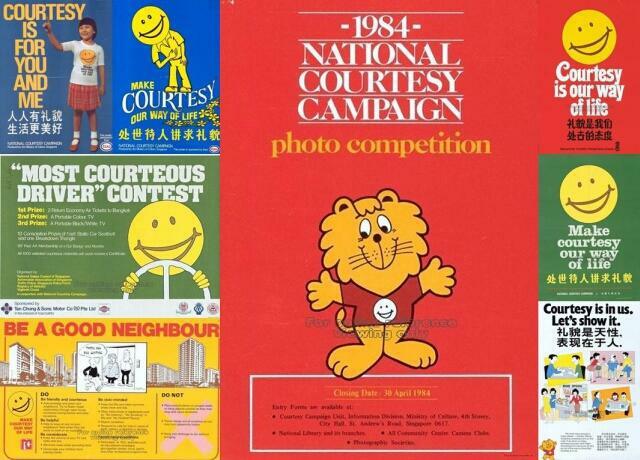 Such public awareness and motivation campaigns have been an integral part of Singapore’s national heritage. 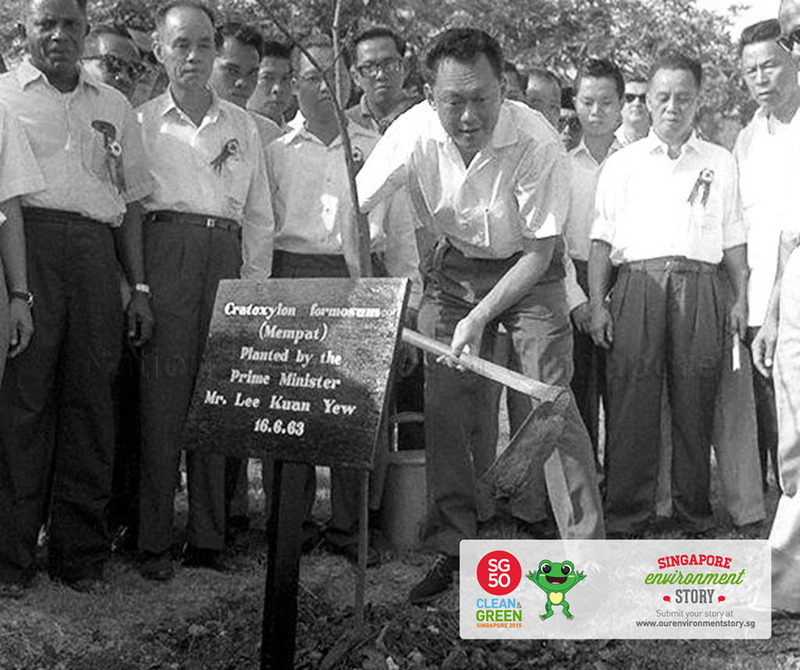 Over four decades, these campaign movements have not only shaped Singapore’s surroundings but also the thoughts and behaviour of the people. 1959 – 1990 වකවානුවේ සිංගප්පූරුවේ ප්‍රථම අගමැතිවරයා වූ සහ එරට නිදහසෙන් පසු දියුණු රටක් බවට පත් කළ ලී ක්වාන් යූගේ අභාවය ලෝක පුවතක් බවට පත් වුණා. ඔහු ආන්දෝලනාත්මක චරිතයක්. එහෙත් ඔහු සිය රටට දුන් දුරදක්නා හා කල් පවත්නා නායකත්වය ගැන නම් කවුරුත් පිළි ගන්නවා. අපේ රටේ ලී (චීන සම්ප්‍රදායට වාසගම ලියන්නේ මුලින්) ගැන පළ වූ බොහෝ විග්‍රහයන් එක්කෝ ඔහු ශ්‍රී ලංකාව මුලදී අගය කළ සැටි හෝ ඔහුගේ දරදඩු පාලන පිළිවෙත්වලට සීමා වූ බවක් පෙණුනා. ඇත්තටම ලී මාන රැසකින් යුත් අසාමාන්‍ය චරිතයක්. ඔහු අපේ කොළඹ දිස්ත්‍රික්කය පමණ බිම් ප්‍රමාණයකින් යුතු, පසුගාමීව තිබූ දූපතක් භාර ගෙන පරම්පරාවකට අඩු කාලයක් තුළ ඉසුරුබර හා ඒකාග්‍ර ජාතියක් බවට පත් කළේ කෙසේද යන්න සමීපව විමසා බැලිය යුතුයි. සිංගප්පූරුව මලයා සමූහාණ්ඩුවෙන් වෙන් වී ස්වාධීන රාජ්‍යයක් වූයේ 1965දී. වර්ග කිලෝමීටර 718.3ක බිම් ප‍්‍රමාණයක් ඇති, සොබා සම්පත් කිසිවක් නැති නගර රාජ්‍යයක අනාගත දියුණුව මුළුමනින්ම පාහේ රඳා පවතින්නේ සේවා හා දැනුම් ආර්ථිකයක් ගොඩනැගීම මත බව ලී ඇතුලූ ඔහුගේ දක්ෂ කැබිනට් ඇමතිවරුන් මුල පටන්ම වටහා ගත්තා. එවකට මිලියනයක් පමණ වූ එරට ජනගහනයේ අධ්‍යාපන මට්ටම්, විනය හා හැදියාව හැකි තරම් දියුණු කරන්නට එරට රජය නොමසුරුව මුදල් යෙදවූවා. ඉදිරියේදී සිංගප්පූරුව දියුණු රටක් කරන්නට දේශීය හැකියාව ප‍්‍රමාණවත් නොවන බවත්, උගත් හා දක්ෂ විදේශික වෘත්තිකයන් ආකර්ශනය කර ගත යුතු බවත් රජය දැන සිටියා. එරටට ආවේණික වූ චීන, මැලේ හා ඉන්දියානු ජන සංස්කෘතින් රැක ගනිමින් නූතනත්වය වැළඳගත් සිංගප්පූරුව, පිළිවෙළකට වැඩ කිරීම ජාතික ප‍්‍රතිපත්තියක් බවට පත් කළා. මේ ගැන විවේචන තිබෙනවා. එහෙත් වැරදි පුරුදු හා විනය රහිත බව “සංස්කෘතික උරුමයක්” කියා තව දුරටත් පවත්වා ගෙන යන්නට ලී ඉඩ දුන්නේම නැහැ. සිංගප්පූරුව ගැන සමීපව අධ්‍යයනය නොකළ හෝ කිසි දිනෙක එහි නොගිය උදවිය බොහෝ දෙනකු තුළ ඇති මනෝචිත‍්‍රය නම් දැඩි නීතිරීති හා දඬුවම්වලින් ගහන වූ දරදඬු රාජ්‍යයක් බවයි. එරට පාරිසරික පිවිතුරු බව, පිළිවෙළට වැඩ කිරීම හා මාර්ග ආරක්ෂාව ආදී කරුණු සම්බන්ධයෙන් සාපේක්ෂව තදබල නීති ඇති බව ඇත්තයි. එසේම තරාතිරම නොබලා ඕනෑම කෙනකු වරදක් කළ විට අධිකරණ ක‍්‍රියා මාර්ග හරහා දඬුවම් දීම කැරෙනවා. බටහිර විචාරකයන් බොහෝ විට හුවා දක්වන්නේ චුවිංගම් තහනමයි. 1992දී හඳුන්වා දුන් මේ තහනම බැලූ බැල්මට පෞද්ගලික නිදහස අනවශ්‍ය ලෙස සීමා කිරීමක් සේ පෙනෙනවා. එහෙත් එයට හේතුව වූයේ චුවිංගම් රස උරා ගත් පසුව ඉතිරි වන ඇලෙනසුළු හපය ප‍්‍රසිද්ධ ස්ථානවල ඔහේ දමා යාමේ නරක පුරුද්දයි. චුවිංගම් පෝෂණය හෝ වින්දනය අතින් අත්‍යවශ්‍ය නොවූවක්. පදික වේදිකා, බස් හා දුම්රිය පොළ, බස් රථ හා දුම්රිය ඇතුළත මෙන්ම රඟහල්, පාසල් ආදී තැන්වලත් ඉවත දැමූ චුවිංගම් නගරය පිරිසිදුව තබා ගැනීමට මහත් බාධාවක් වුණා. එසේම ඒවා හරිහැටි ගලවා ඉවත් කිරීම වෙහෙසකර, වියදම් අධික කාරියක්. මහජන මුදල් ලක්ෂ ගණනක් නිතිපතා වියදම් කිරීමෙන් පසු සිංගප්පූරුව මේ තහනම හඳුන්වා දුන්නේ අන්තිම පියවර ලෙසයි. 2004දී චුවිංගම් තහනම මඳක් ලිහිල් කෙරුණා. ඖෂධමය චුවිංගම් දැන් එරට ඔසුසල්වලින් අලෙවි කරනවා. එහෙත් ඒවායේ හපය ප‍්‍රසිද්ධ තැනක ඉවත දැමීම ඉහළ දඩයක් ලැබෙන වරදක්. චුවිංගම් පමණක් නොවෙයි, වෙනත් ඕනෑම ආකාරයක ඉවතලන දෙයක් නිසි සේ බැහැර නොකළොත් එයට ලොකු දඩයක් ගෙවීමට සිදු වෙනවා. පළමුවරට ප‍්‍රසිද්ධ ස්ථානවල කසල දැමීමේ වරදට දඩය සිංගප්පූරු ඩොලර් 2,000යි (රු. 995,000). දෙවන වතාවට හසු වූ විට ඩොලර් 4,000ක් හා ඉන් පසු යළි යළිත් වරද කරන අයට වරකට ඩොලර් 10,000 බැගින් දඩ නියම කැරෙනවා. සිංගප්පූරුවේ තවත් තහංචි ගණනාවක් තිබෙනවා. කිසිදු ප‍්‍රසිද්ධ ස්ථානයක හෝ විවෘත අවකාශයක කෙළ ගැසීම, මුත‍්‍රා කිරීම, තාප්ප හෝ බිත්තිවල අකුරු ලිවීම හෝ පෝස්ටර් ගැසීමට ඉඩක් නැහැ. එසේම මහපාරේ පදික වේදිකාවල ගමන් කළ යුතුයි. පාර පැනීමට කහ ඉරි සළකුණු කර ඇති තැන් පමණක් යොදා ගත යුතුයි. මෙසේ නොකරන ඕනෑම අයකුට දඩ ගැසීම කරනවා. එසේම නීතිරීතිවලින් පමණක් රට හදන්නට බැරි බව හොඳාකාර දත් ලී මහජනයා දැනුවත් කිරීම හා හොඳ පුරුදු වර්ධනය කිරීම සඳහා දශක ගණනාවක් තිස්සේ කැම්පේන් ආකාරයේ වැඩසටහන් රැසක් දියත් කළා. මුල් යුගයේ සිංගප්පූරු කැම්පේන් අතර කැපී පෙනුණේ 1968දී ඇරඹි ‘සිංගප්පූරුව පිරිසිදුව තබා ගනිමු’ හා 1971 පටන් ගත් රුක් රෝපණයයි. දැනුවත් කිරීමට අමතරව නාගරික නීතිරීති, ගොඩනැගිලි ඉදිකිරීමේ ප‍්‍රමිතීන්, වෙනත් කළමණාකරණ පිළිවෙත් ද විමර්ශනය කොට ප‍්‍රතිසංවිධානය කළා. එරට මොන වැඬේට අත ගැසුවත් මුල සිට අගට කළ යුතු සියල්ල හඳුනාගෙන, වැඬේ සාර්ථක වනතුරු අල්ලා සිටිනවා. සාමාන්‍යයෙන් මහජනයා වෙතට යන කැම්පේන් අදියර ඇරඹුණේ අවශ්‍ය පරිපාලනමය හා සැළසුම් සම්බන්ධීකරණය හමාරකළ පසුවයි. මේ හැම කැම්පේන් එකක්ම ඉහළ වෘත්තීය මට්ටමකින් සැලසුම් කොට බහු මාධ්‍ය හා වෙනත් ක‍්‍රියාකාරකම් යොදා ගනිමින් දියත් කළා. දැන්වීම් කර්මාන්තයේ පළපුරුදු වෘත්තිකයන් හා විවිධ ක්ෂේත‍්‍රවල විශේෂඥයන්ගේ දායකත්වය ලැබුණා. උදාහරණයකට යහපත් සෞඛ්‍ය පුරුදු ගැන සියලූ කැම්පේන් කළේ වෛද්‍යවරුන් හා සමාජ විද්‍යාඥයන් මුල් කර ගෙනයි. යහපත් සෞඛ්‍යය යනු ලෙඩ වූ විට බෙහෙත් දීම නොව, හැකි තරම් ලෙඩ රෝග වළක්වා ගැනීමයි. ලීගේ දැක්ම වූයේ සෞඛ්‍ය අධ්‍යාපනයට බොහෝ සම්පත් ලබා දී එය රටේ මාධ්‍ය හරහා සූක්ෂ්ම ලෙසින් කිරීමයි. මේ කැම්පේන් හරහා බෝවන රෝග (AIDS,ඩෙංගු) වළක්වා ගැනීම මෙන්ම බෝ නොවන හෘද රෝග, දියවැඩියාව, මානසික රෝග ආදිය ගැනද වෛද්‍ය විද්‍යාත්මක දැනුම ලබා දුන්නා. කිසිදු රෝග ලක්ෂණයක් නැතත් වාර්ෂිකව සෞඛ්‍ය පරීක්ෂණ (annual health check-ups) කර ගන්න යයි ජනතාව දිරිමත් කෙරුණා. 1970 දශකයේ ක්ෂය රෝගය, කොළරාව ආදී බෝවන රෝග එරට තවමත් හමු වුණා. ඒවා පැතිරීම වැළැක්වීමට නිතර අත් සබන් ගා සේදීමට ද ජනතාව උනන්දු කෙරුණා. දුම්බීමට හා මත්ද්‍රව්‍ය භාවිතයට එරෙහිව 1980 ගණන්වල පටන් ගත් කැම්පේන් අද දක්වා කර ගෙන යනවා. එයට අමතරව මවුකිරි දීමේ අගය, සමබර ආහාරවේලක ගුණය, මාර්ග නීති පිළිපැදීමේ වටිනාකම, පොදු ප‍්‍රවාහන සේවා භාවිතයේ අගය ආදියද තවත් කැම්පේන්වල තේමා වූවා. 1980 හා 1990 දශක වන විට වඩාත් ඉසුරුබර රටක් බවට පත්ව සිටි සිංගප්පූරුව සම්පත් හා බලශක්ති සකසුරුවම්කම, මිනිසුන් අතර ආචාරශීලී බව, වයස 60ට වැඩිමහලූ අයට සැලකීමේ වැදගත්කම ආදී තේමා යටතේ ප‍්‍රබල කැම්පේන් දියත් කළා. එයට සමාන්තරව ජාතික ඵලදායීතාව දියුණුකිරීමේ වැඩ පිළිවෙලක් හා කැඩුණු ඉංග‍්‍රීසි වෙනුවට හොඳ නිවැරදි ඉංග‍්‍රීසි කතා කිරීම දිරිමත් කිරීමත් ඇරඹුනා. මේ ආදායම් ඉහළ යාමත් සමග ජනයා එකිනෙකාට විනීතව කතාබහ කිරීම අඩු වන බව දුටු සිංගප්පූරු රජය 1979දී දිගු කාලීන දැනුවත් කිරීමක් ඇරඹුවා. ආත්මාර්ථකාමී නොවී අන් අයගේ යහපත හා සුවදුක් ගැන සංවේදී වීමටත්, පොදු ස්ථානවල විනීතව හා ආචාරශීලීව හැසිරීමටත් ජනයා උනන්දු කළා. ජාතික ආචාරශීලීබව ප‍්‍රවර්ධනය කිරීමේදී ‘කරුණාකර’ හා ‘ස්තූතියි’ වැනි මූලික යෙදුම් භාවිතයේ සිට විනෝදාස්වාදය ලැබීම, මහමග යාම හා විනෝද චාරිකා යාම ආදිය අන් අයට කරදරයක් නොවන ලෙස කෙසේ කළ හැකිද යන්න පෙන්වා දෙනු ලැබුවා. ජනතාවට බණ කියනු වෙනුවට රසවත්, ආකර්ශනීය ලෙස පණිඩුඩ සකසා පුවත්පත්, රේඩියෝ, ටෙලිවිෂන්, දැන්වීම් පුවරු හා සංස්කෘතික සංදර්ශන ආදිය හරහා ඒවා බෙදාහැරියා. 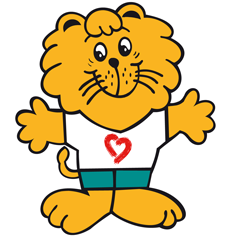 බොහෝ කැම්පේන්වලට කාටුන් චරිත, ඉෂ්ට ලංඡන (Mascot) හා හාස්‍ය රසය කාටුන් යොදා ගත්තා. සමහර විට දක්ෂ පොප්, රැප් හෝ වෙනත් සංගීත කණ්ඩායම් තේමා ගීත නිර්මාණය කළා. උදාහණයකට ආචාරශීලීබව පිළිබඳ කැම්පේන් සුරතලා ලෙස සිංගා නම් සිංහයෙක් නිර්මාණය කළා. වසර 30ක් පුරා සිංගා එරට ජන ජීවිතයේ සුපුරුදු අංගයක් වුණා. 1990 දශකයේ ඉන්ටනෙට් භාවිතය පැතිර ගිය පසු මේ කැම්පේන් වෙබ් අඩවි හා ජංගම දුරකථන හරහා ද සමාජගත වුණා. ජනයා වැඩිදෙනකු කාර්යාලීය ජීවන රටාවකට හුරු වන විට ව්‍යායාම කිරීමේ අවශ්‍යතාව කියා දෙන්නට තවත් කැම්පේන් එකක් දියත් කළා. දිනකට පැය බාලයක්වත් යම් සක‍්‍රීය ව්‍යායාමයක් ගැනීම කොතරම් වැදගත්ද යන්න ඒ හරහා අවධාරණය කෙරුණා. මේ ව්‍යායාම රිද්මානුකූල හා විනෝදජනක ලෙසින් කිරීමට සංගීතමය වීඩියෝ හා වෙනත් උපදේශක මාධ්‍ය රටපුරා බෙදා හරිනු ලැබුවා. ලීට ඕනෑ වුණේ තුන්වන ලෝකයේ රටක් සේ නිදහස ලැබූ සිය කුඩා රාජ්‍යය පරම්පරාවක් තුළ පළමුවන ලෝකයේ රටක් බවට පත් කරන්න. එහිදී භෞතික යටිතල පහසුකම් තැනීම හා ඒක පුද්ගල ආදායම වැඩිකිරීමට අමතරව සමාජ ඒකාග‍්‍රතාවය, ජාතික අනන්‍යතාව හා රටවැසියන්ගේ අභිමානය ගැනද ඔහු ලොකු අවධානයක් යොමු කළා. ලෝකයේ කිසිදු රටකට නොදෙවැනි රෝහල්, විද්‍යා පර්යේෂණාගාර හා සරසවි එරට බිහි කිරීමට නොමසුරුව රජයේ මුදල් ආයෝජනය කළා. සංස්කෘතික වශයෙන් කලා, සාහිත්‍ය හා අනෙකුත් නිර්මාණශීලී ප‍්‍රවාහයන්ට ආධාර කළත් රජය ඒ ක්ෂේත‍්‍රවලට අනවශ්‍ය ලෙස අරක් ගත්තේ නැහැ. (නමුත් මාධ්‍ය නිදහස හා ප‍්‍රකාශන නිදහස ගැන නම් දැඩි සීමා පැන වූවා.) චීන, මැලේ හා ඉන්දියානු සම්භව්‍ය ඇති එරට වැසියන් අතර ජාතිවාදය මතු වන්නට ඉඩ දුන්නේ නැහැ. ආගම පෞද්ගලික ක‍්‍රියාවක් ලෙස කිරීමට නිදහස තබා රාජ්‍ය පාලනයට කිසි ආගමක් සම්බන්ධ කර නොගැනීමට ලී දුරදර්ශීව ක‍්‍රියා කළා. සමහර විවේචකයන් සිංගප්පූරුව සිය ජනතාවට ඕනෑවට වඩා කළ-නොකළ යුතු දේ කියන, හැම දේටම ඇඟිලි ගසන රාජ්‍යයක් කියා හෙළා දකිනවා. එහෙත් මා හමු වී ඇති බොහෝ උගත් සිංගප්පූරු ජාතිකයන් පවා මේ කැම්පේන්වල ප‍්‍රතිඵල අගය කරනවා. මෙතරම් කෙටි කලෙකින් දියුණු රටක් බවට පත් වූයේ හුදෙක් කොන්ක‍්‍රීට් හා වානේ පිහිටෙන් නොව දුරදක්නා නුවණින් හා නොසැලෙන අධිෂ්ඨානයෙන් එරට මිනිසුන් දියුණු කිරීමයි. ලී ක්වාන් යූ ඉතිරි කර ගිය ලොකුම දායාදය එයයි!